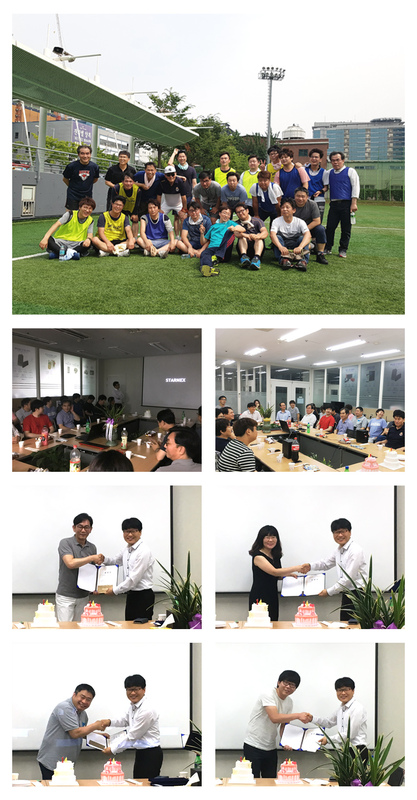 On july 1, 2017, STARNEX celebrated its 14th anniversary. and award to long-term employees. also had a good opportunity to achieve corporate unity through the athletic contest.